Essex Chambers’ Chief Executive Denise Rossiter was joined by fellow Chief Executive, Ali Griffin of Southend-on-Sea Borough Council, for a tour of Chamber members in Southend. 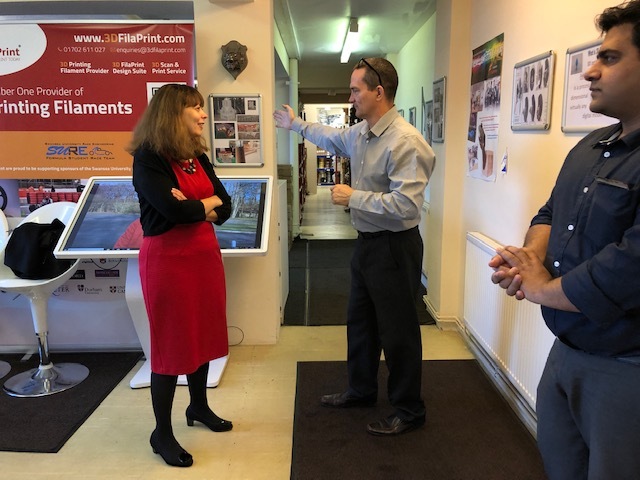 The purpose of the tour was to enable Ms Griffin to meet various Chamber members and find out how their businesses are doing. The businesses visited were 3D Filaprint, Crucis Designs, CHC Construction, Kaisertech and Rickard Luckin.